Cas Loowod inherited his father's unusual profession, he travels the world following legends and local stories, tracing and killing ghosts who sow death. 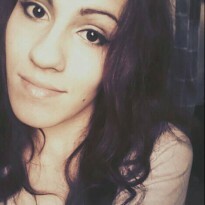 Anna Korlov "Anna dressed in blood" is a ghost of a brutally murdered girl possessed with a curse and rage. She has killed every person who dared to enter the abandoned Victorian house that was once her home. However, Anna spares Cas' life and he finds himself feeling something for this particular ghost. Can Cas discover the secret of Anna dressed in blood and rid her of her curse? Is their love is possible in the real world, outside the walls of her haunted house? 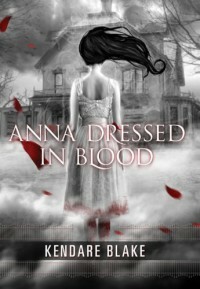 Anna dressed in blood is a dark and twisted story about a boy who kills the dead, but falls in love with Death herself. Overall, an okay story, a bit interesting and a bit creepy. Not what I really expected from this book, I had quite high expectations. In my opinion, there wasn't enough horror at all. Or humor. The attempts of humor or sarcasm in this book were so achingly bad. I very much disliked the character of Cas, I found him really annoying. At times, the book was boring and I have to say that things started to pick up only at the second half of the book. I don't see the point of the love(INSTA-LOVE,UGH) story in this book at all,Anna is dead and Cas is alive, it just seemed pointless even trying. On the plus side, despite its occasional boring moments,it's a quick read. Not sure if I'll read the sequel, I don't think I'd be able to stand any more of Cas. So, most likely no.